Windows on tablets on ARM: Surface, or something else? Today’s news cycle flurry centers around Microsoft’s Surface, and whether Microsoft will continue with Surface on ARM, or just give up on the whole idea. 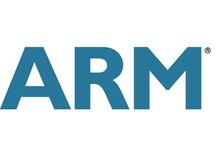 As a refresher, ARM refers to a family of RISC (reduced instruction set computing) based computer processor architectures, ones that require fewer transistors, which reduces heat, power use (increasing battery life), and cost. ARM based processors are what power most smartphones on the market, as well as a number of tablets and other smart devices. When Microsoft introduced Windows 8, it promised to run Windows on ARM, and it introduced the Surface RT to do just that. The complexities associated with running Windows on ARM, however, meant that Microsoft couldn’t just run full on Windows on ARM based machines, and Windows RT was introduced, which got Windows on ARM in time for Windows 8, but with limited capabilities. It was a compromise, as much of early Windows 8 was, moving the platform forward by breaking the Intel-only barrier, just as Windows 8 moved the platform forward by making touch a first-class citizen. Touch on Windows 8 compromised desktop use in favor of touch, however, a deficiency it’s taken until Windows 10 to fully address, and Windows RT has been Windows on ARM, but only sort of. At Microsoft, we believe in the future of mobile computing, and with Surface, we have brought a unique perspective to market that meets the needs of many mobile professionals, businesses, educational institutions and government organizations. Surface Pro 3 is built for work. We hope this post has addressed questions from the business community and we are excited to see how Surface’s presence in the commercial space keeps growing. Thank you for continued feedback and support. Currently, Microsoft has three main (not counting Windows Embedded based specialty devices) mobile/tablet operating systems: Windows Phone OS, Windows RT, and Windows 8.1. That’s all supposed to change with Windows 10, but don’t believe the hype that there will simply be one Windows OS that you can run on any device. We’re still a long way off from you being able to install full on Windows on your smartphone, Windows 10 or no. Yes, they’ll be running on the same core, but they won’t be fully interchangeable. There seems to be a dividing line upcoming between phones / ARM tablets, and Intel tablets and desktops. What’s more interesting in Microsoft’s statement about its “strategy for phones and tablets” when it comes to Surface probably boils down more to product naming strategies than product life. For as long as Microsoft makes smartphones running some variant of Windows, it’s going to make ARM based tablets, too, or at least that stands to reason (how long they can hold out making Windows Phones or other mobile devices that no one buys is another story). What’s less clear is what they’ll be called. Will we see that dividing line between ARM and Intel extended to a line between Lumia and Surface, for example? Could the next Surface “RT” be a Lumia? DigiTimes is worried about the Surface Pro 3 sales, but there’s no doubt that the tide is turning, at least in public perception if not sales, with the Surface Pro 3. At last week’s Adobe MAX conference, when Satya Nadella took the stage to introduce new Windows touch based capabilities for Photoshop and Illustrator and give away Surface Pro 3s to attendees, the ovation was loud and long. These design professionals sounded genuinely excited to get their hands on a Surface. Microsoft needs to sell not only Surfaces, but Windows 10, and using the Surface Pro 4 as a showcase for the best Microsoft can offer, perhaps along with say a Lumia 2550 to help to move Windows 10 on ARM along, too, could be the best way to do it.